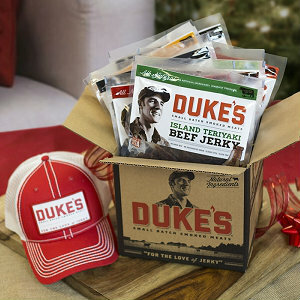 Duke's Smoked Meats, famous for its beef jerky and their line of "Shorty Sausages", has Holiday Bundles that goes on sale today. Duke's Holiday Bundles are available thru December 19th. Looking for that special gift for the carnivore in your life? For the holidays Pap’s is offering a Black Friday Special and a Cyber Monday Special to kick off this holiday season. You will find several gift ideas that include FREE beef jerky or beef sticks with each order. During the season of giving, don’t forget your little four legged buddy, Pap’s has even put together a K9 beef jerky bundle just for them! 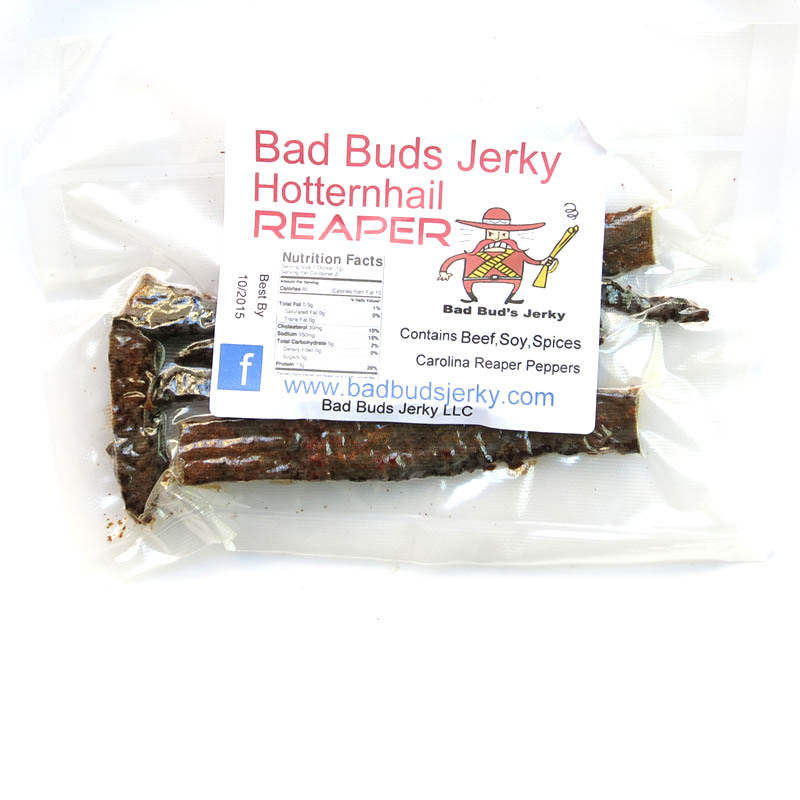 The newest flavor from Bad Buds Jerky is this "Hotternhail REAPER" beef jerky. This new Hotternhail REAPER is described as being made from Carolina Reaper Peppers, which now holds the Guinness Book of World Records as the hottest pepper on the planet, reaching as high as 2.2 million Scoville Units. These pork jerky varieties are made at the company's own USDA-inspected facility in Scottsbluff, NE. 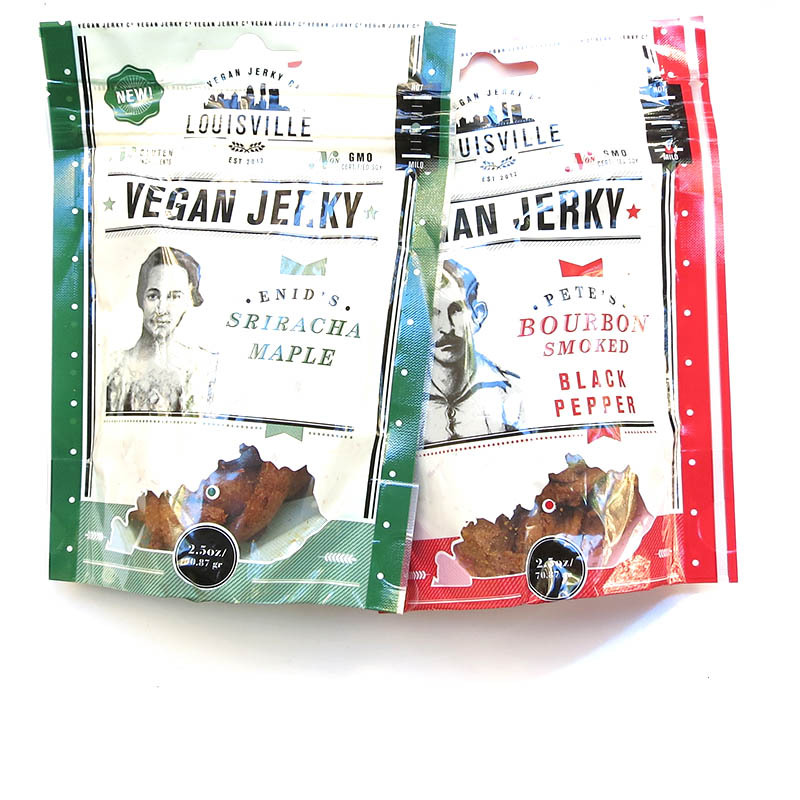 Louisville Vegan Jerky Co. is the creation of Stanley Chase III, a pioneer of sorts in the field of vegan snacks throughout the Louisville, KY region. 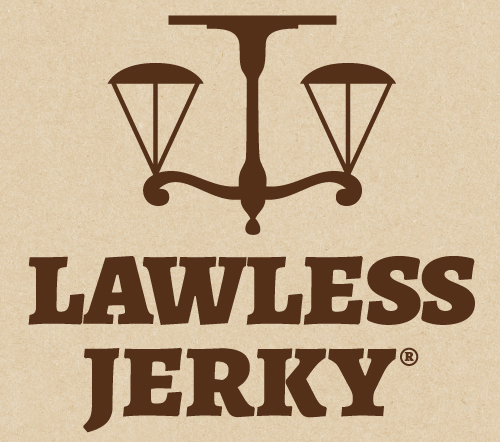 According to the brand's website and Facebook page, it's been around since 2012, originally launching under the name, "What a Jerky!". But Stanley Chase previously made and marketed another brand of vegan jerky called, "Morels the Vegan Butcher", which we reviewed here on Best Beef Jerky. Louisville Vegan Jerky Co. represents a rebirth of Stanley Chase III as a vegan jerky specialist. 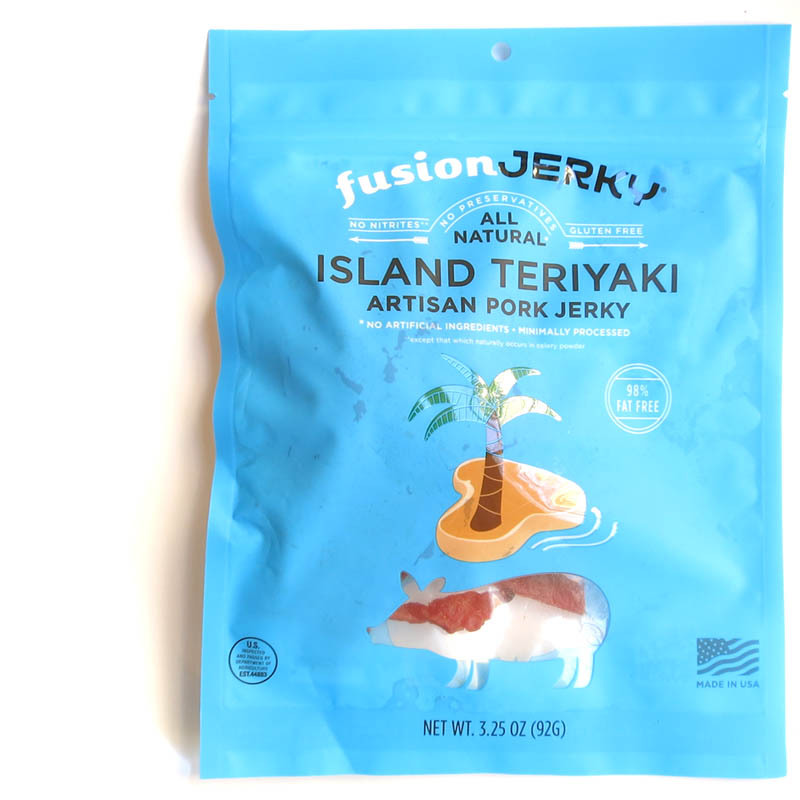 Now with new recipes, non-gluten ingredients, Non-GMO certified, and adding touches of Kentucky sorghum for a local flair, Chase is taking soy-based jerky snacks full steam ahead into the eclectic world of vegan snacking. Dave Gadlin hasn't had his meat and nuts in anyone else's mouth but his own. But soon that will all change. 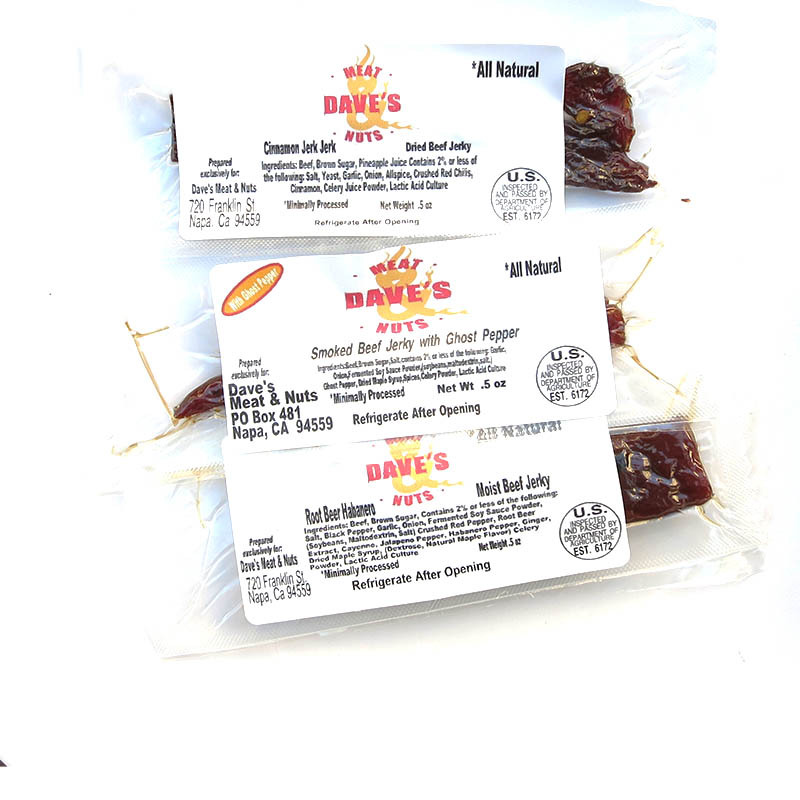 His company, "Dave's Meat & Nuts" is currently raising funds on Kickstarter, and by December 1, 2014, hopes to be fulfilling orders. Having spent his life in New York City working with some of the country's best chefs and restauranteurs, Dave took his expertise out west to Napa, CA to focus on his two snacking passions, beef jerky and peanuts. 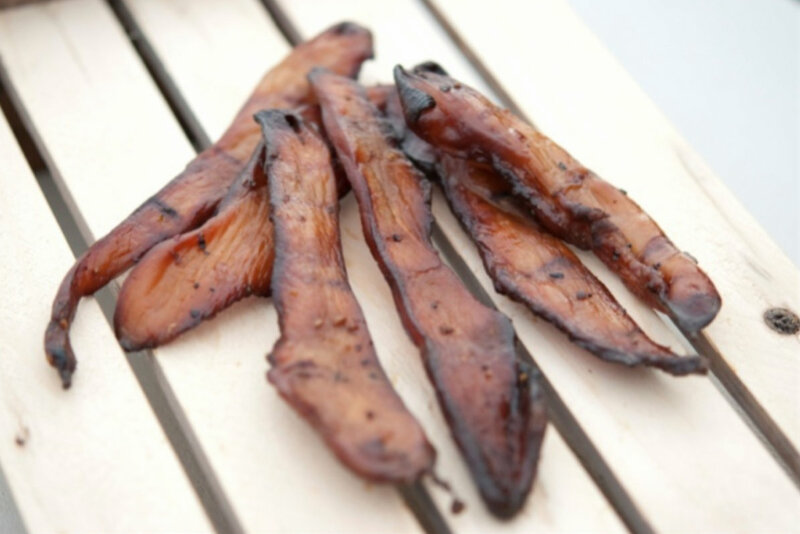 His jerky is smoked in a real smokehouse, using natural ingredients, and is gluten-free. Because his jerky is still not available for sale, I'm withholding formal ratings. The review below is based on pre-production samples sent to me by Dave.